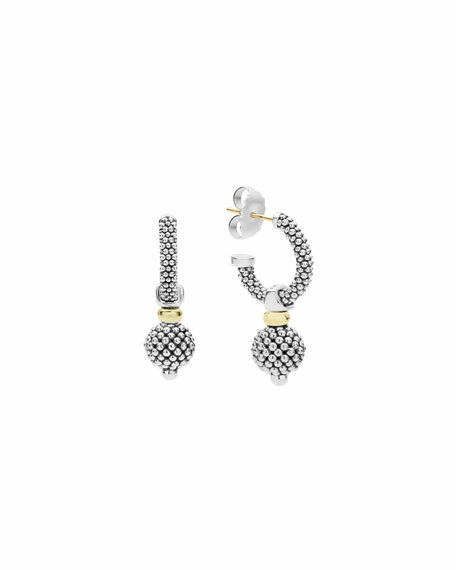 LAGOS earrings from the Caviar Collection. Small sterling silver hoops with signature beading. 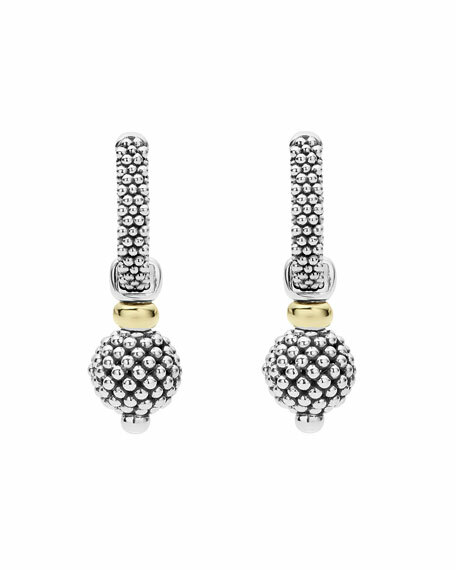 Ball drop with 18-karat yellow gold top detail. For in-store inquiries, use sku #1924531.